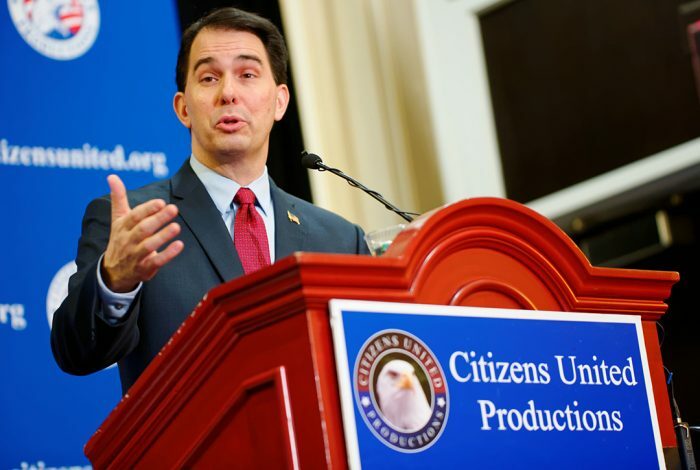 Governor Scott Walker of Wisconsin speaking at CPAC in 2015. Photo credit: Michael Vadon / Flickr (CC BY-SA 2.0). Wisconsin was one of a handful of states to shock the nation when it bucked expert predictions and selected Donald Trump in the 2016 presidential election. A partial recount, which, as WhoWhatWhy documented, was plagued by problems, followed the nailbiter. For all the hoops that had to be jumped through to get that recount off the ground, the barriers are going to be raised even higher now that a Wisconsin bill seems poised to become law. Having already passed the Republican-controlled Assembly and nearing completion in the similarly GOP-held Senate, the bill awaits the inevitable approval of Governor Scott Walker (R), whom the Associated Press reports has already thrown his support behind its ratification. When WhoWhatWhy originally reported on it in July, the bill had promised to enact more stringent recount standards, which would shorten the window in which candidates could file recount petitions and, perhaps more importantly, disqualify candidates who finish beyond a one-percent margin of victory, like 2016 Green Party candidate Jill Stein, from doing so at all. Despite the fact that Stein reimbursed the state for its expenses, bill author Ron Tusler (R) called last November’s recount “an embarrassment” — a waste of time and money that made Wisconsin one of the last states in the country to verify its election results. Stein initiated a recount after Trump defeated Hillary Clinton by a 0.8% margin. Under the proposed legislation, Stein, who trailed by 46% in the race, would not be able to file such a petition. Election integrity activists say the bill’s supporters are removing a critical element of public accountability. More than 11,000 miscounted votes were uncovered thanks to the 2016 recount.